An explosion of orange, red, yellow and pink fill this fabulous design by Nancy Rossi. 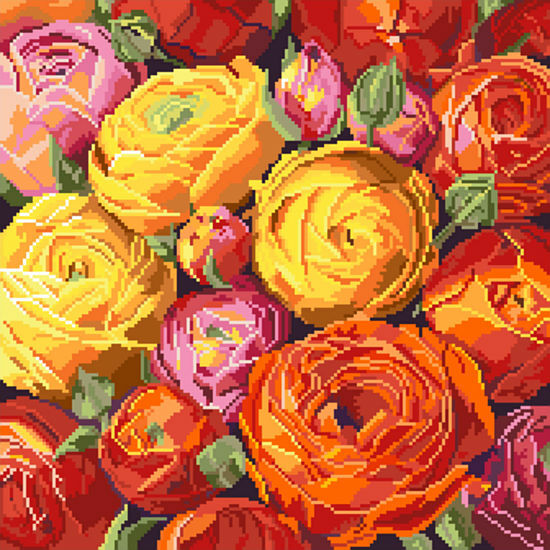 One of our classic florals, this depiction of Ranuncula's in full bloom is a beauty. 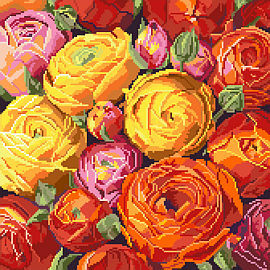 This design can be worked up in cross stitch, big stitch or needlepoint as there is no back-stitching. On 14 count Aida, this design comes out to 12 x 12" and is 168 x 168 stitches.